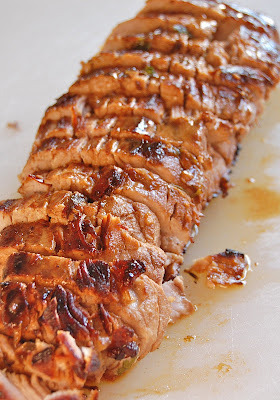 This is my "go-to" pork tenderloin recipe. It's pretty foolproof and sure to be a hit with all-ENJOY! I served this up with some roasted "teeny-tiny" baby potatoes and my daughter's favorite veggie, brussel sprouts!